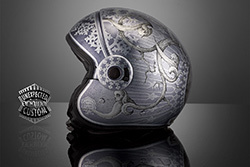 Studs, wrought iron, textiles, decorations... typical elements that characterize the original aesthetic of the legendary Samurai armors. 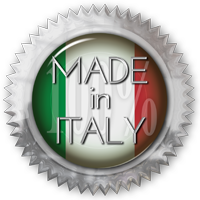 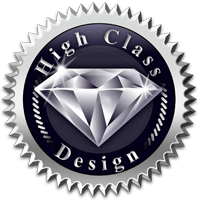 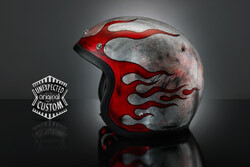 After a study and a careful planning born this highly evocative design. 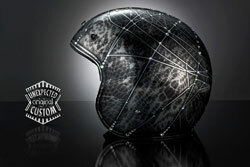 Completely covered in metal leaf and subsequently treated with a special technique that gives the surface a slight crackle. 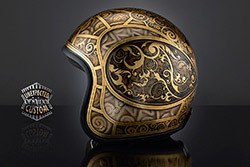 Airbrushed with special colors for glass, expresses the astonishing beauty of the Samurai armor enhanced by precious ornaments. 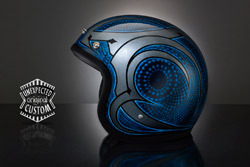 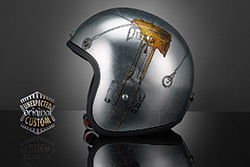 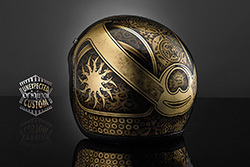 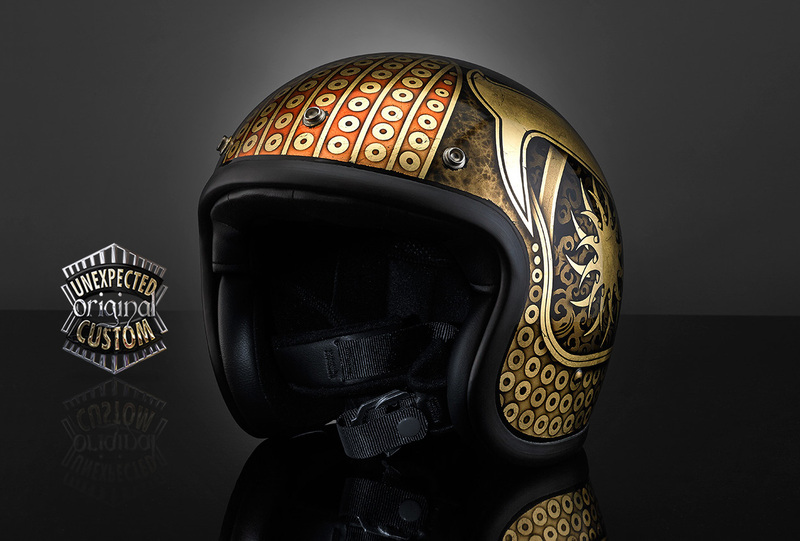 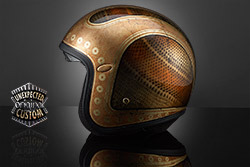 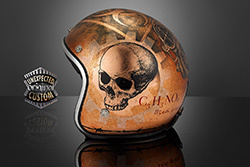 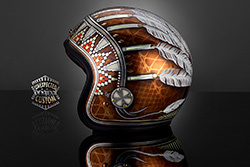 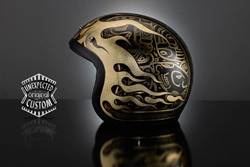 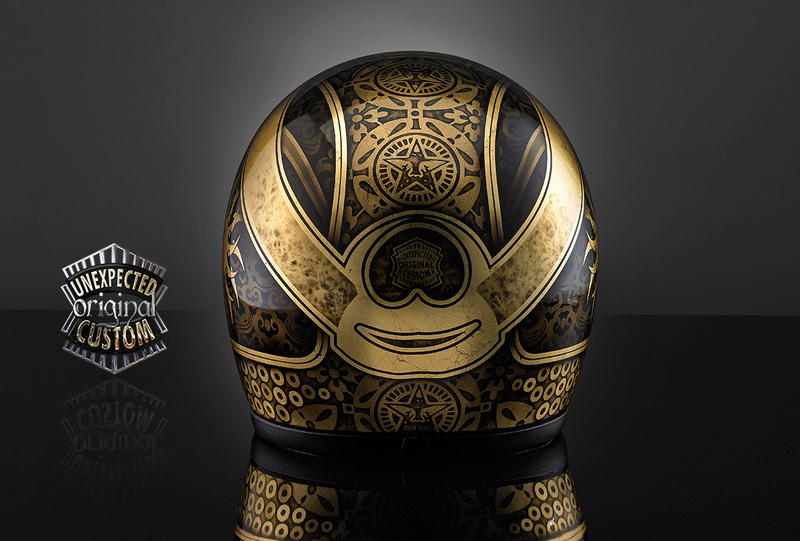 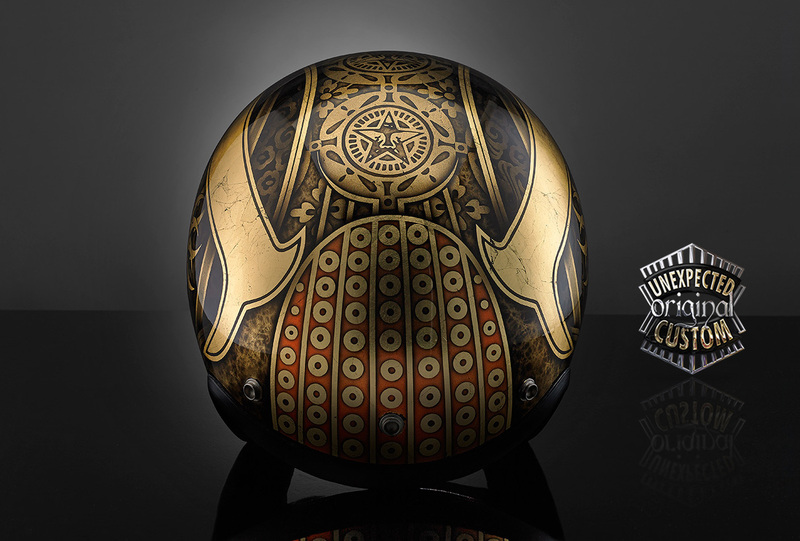 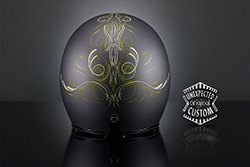 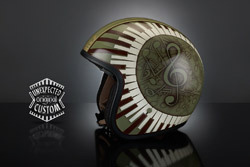 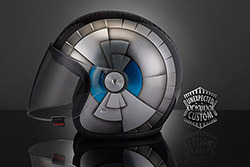 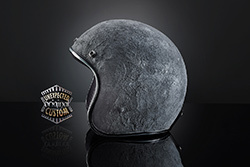 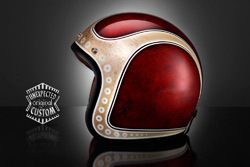 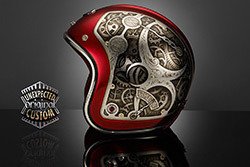 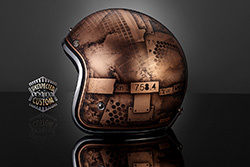 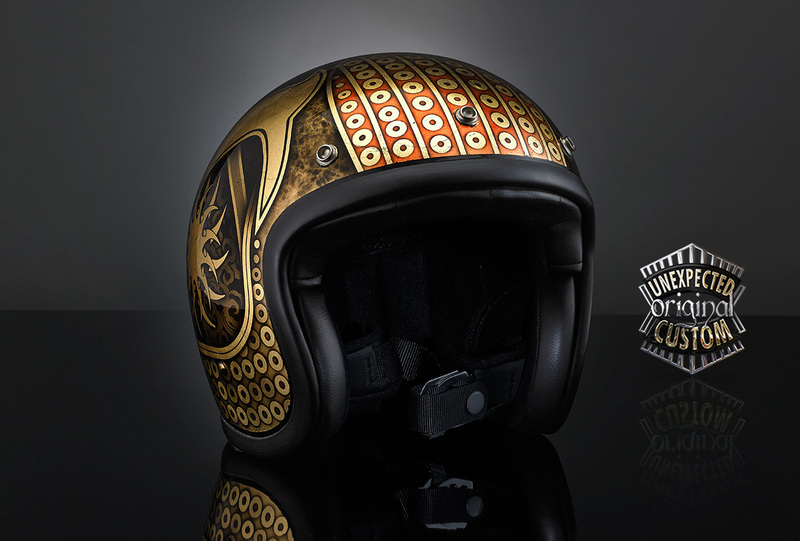 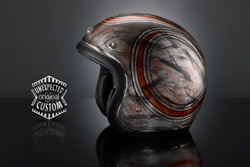 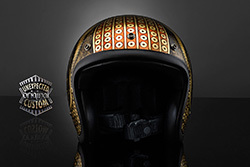 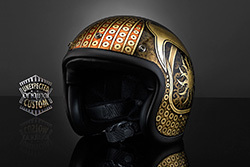 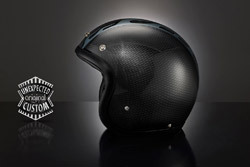 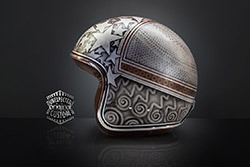 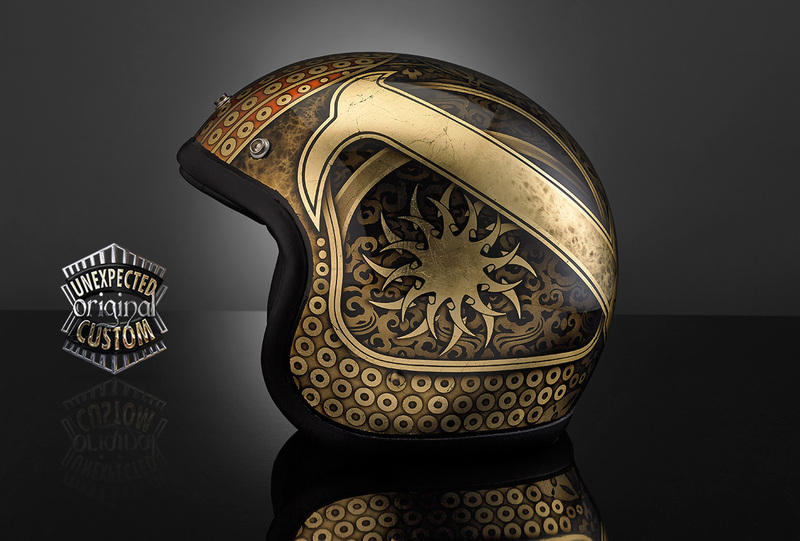 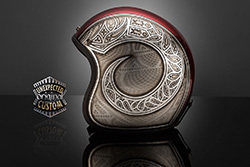 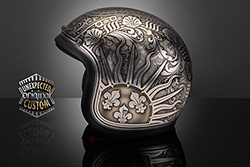 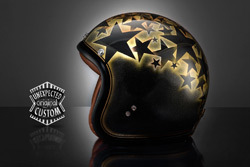 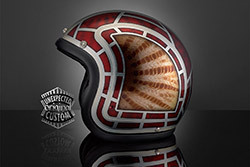 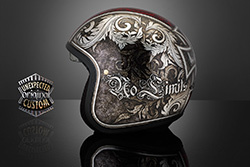 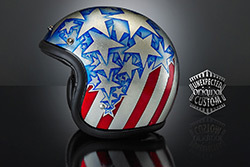 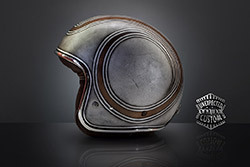 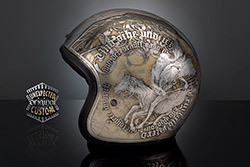 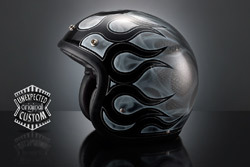 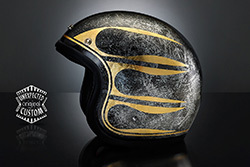 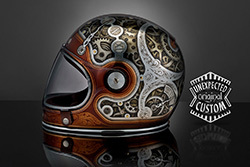 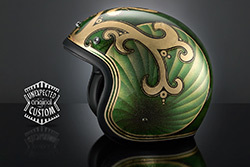 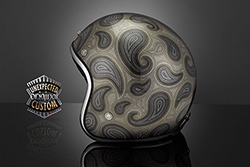 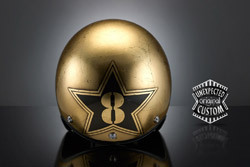 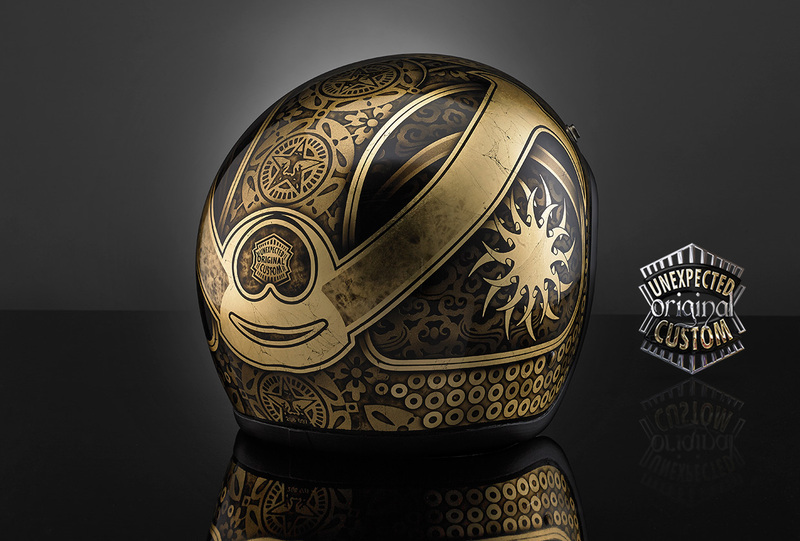 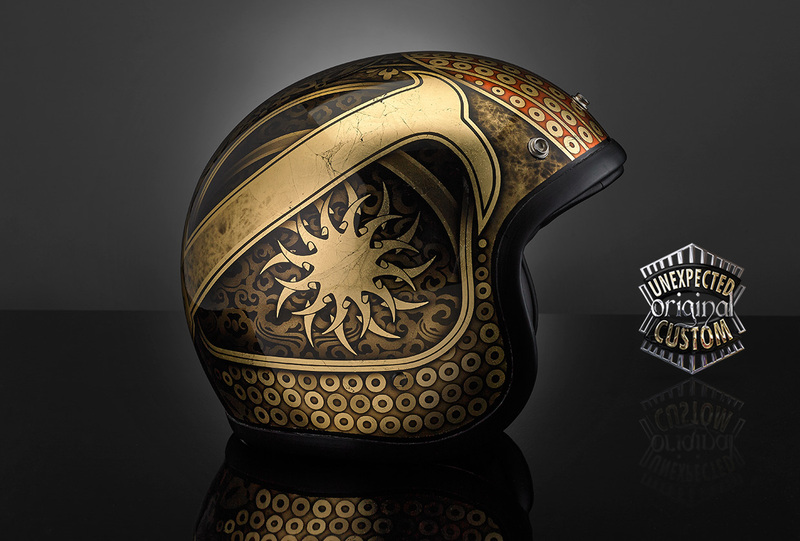 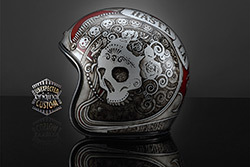 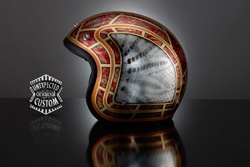 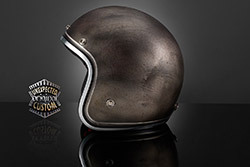 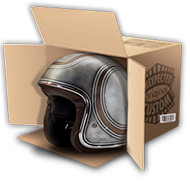 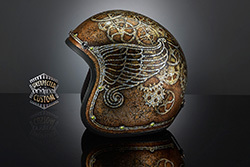 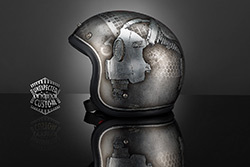 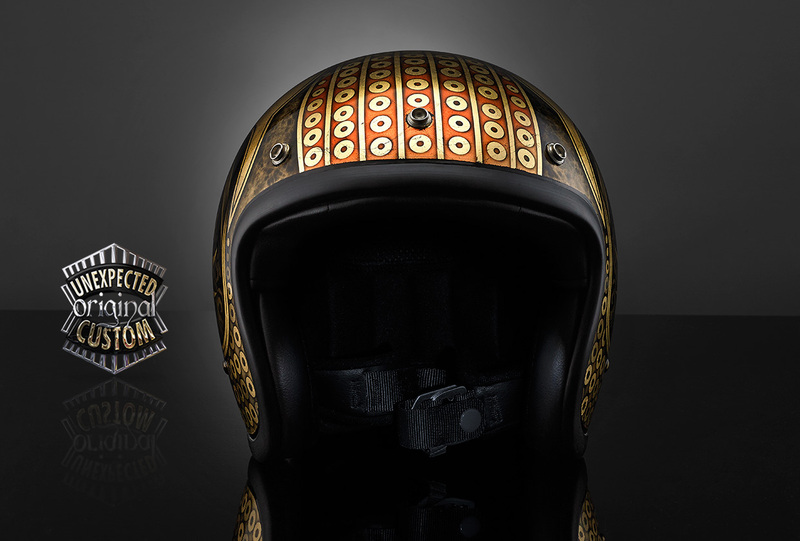 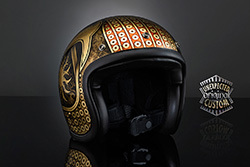 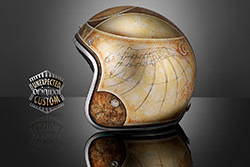 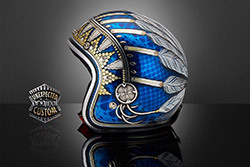 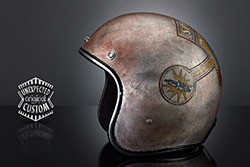 Luxurious and elegant helmet, finely decorated with careful choice of detail. 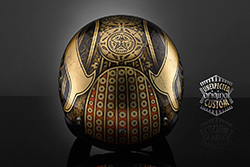 The detailed research of particular draws on the typical refinement of armor, helmets and harnesses of the samurai and the ancient Japanese warrior tradition. The decoration of this helmet is achieved with special colors for glass on a completely covered lid in cracking gold leaf which give an interesting antique look. 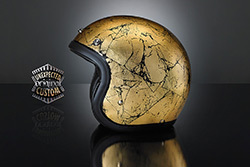 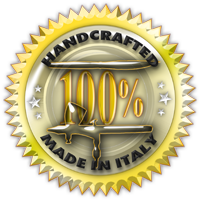 Gold leaf, airbrush, special colors for glass.